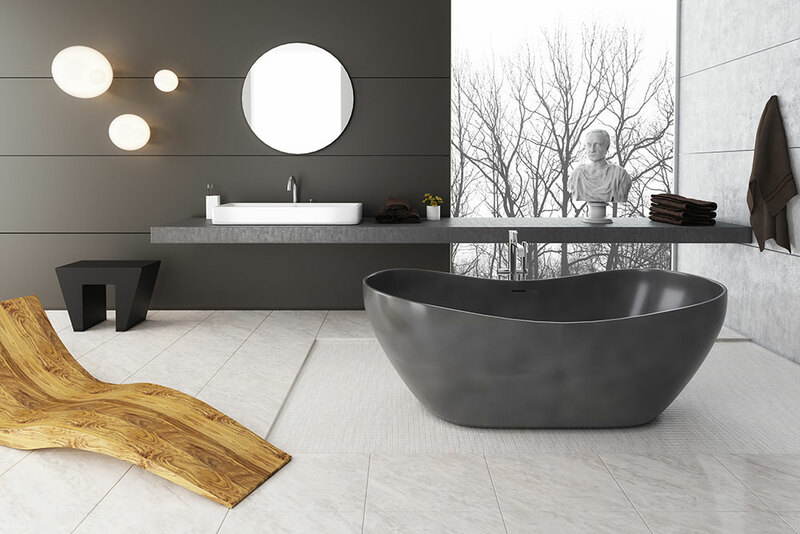 We are an Australian owned and operated business that designs and builds beautiful bathrooms in a range of styles across Sydney. We are highly dedicated to providing you with quality, affordable bathroom renovation services. Our quality work and excellent customer service has made us one of the most trusted names in the business. 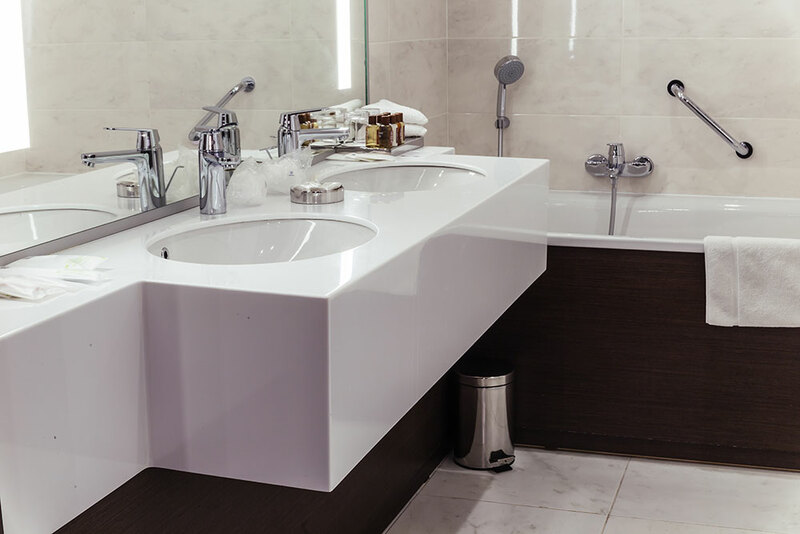 Our fully qualified tradesmen have 30 years combined experience in delivering exceptional bathroom renovation services, leaving our clientele extremely satisfied. 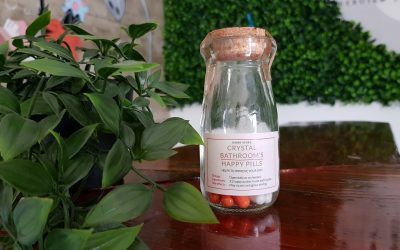 Our credentials match up to all industry standards, meaning that our work is certified and regulated to the highest quality australian guidelines. Experience your new bathroom in virtual reality like you have never seen before. 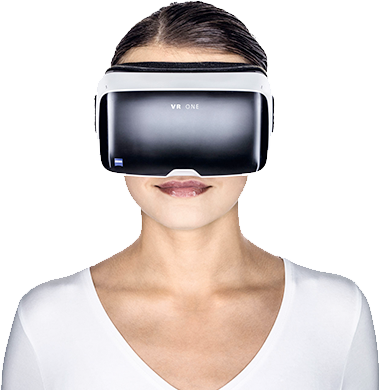 We use industry-leading 3D virtual reality to give you a walkthrough of your new bathroom. Gain complete confidence knowing how your bathroom will look and feel before you have even made your first deposit. Create your own bespoke bathroom that you will love. We work with our clients to create custom bathroom creations that stand out from the rest. For those who like the finer things in life!. The Crystal Bathrooms team can help you create a designer bathroom that will stand out and ooze sophistication and elegance. Reinvent your ensuite bathroom and add value to your property with a bathroom renovation from Crystal Bathrooms. Craving a modern bathroom? We can help! Update your outdated bathroom with a modern style that will make your friends jealous! Add a touch of luxury and class to your new bathroom. 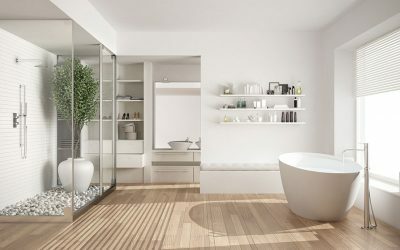 At Crystal Bathrooms, we are the industry leaders in high quality luxury bathrooms. We don’t just stop at home bathrooms! Crystal Bathrooms signature commercial designs can also be seen in hotels, motels and office buildings. 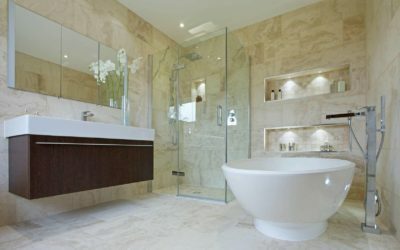 Benefits of Choosing Crystal Bathrooms. At Crystal Bathrooms, we always delivery quality bathroom renovations that we are proud of. The renovators from Crystal Bathrooms are not only licensed, but they are also trained in how to communicate. This means that they can talk you through your desires for bathroom renovations until you get something you like. The bathrooms that result are flawlessly crafted, by licensed renovators, backed by a warranty and delivered in excellent timing. The customer care support is top-notch. You can always get back in touch for any follow-up issues. 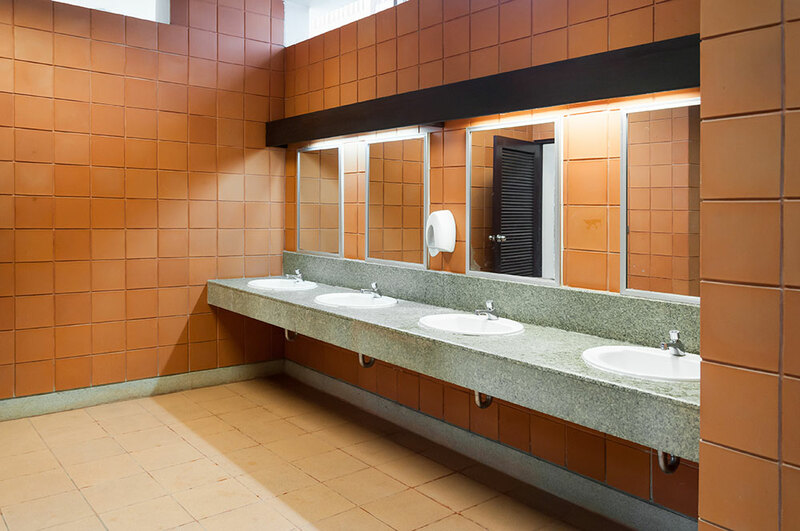 Whether you are a business or a homeowner looking for affordable bathroom renovations, you can get satisfactory services at Crystal Bathrooms. You get an opportunity to work with a company that delivers quality in a transparent manner at affordable charges. As soon as you get your quote, you can rest easy knowing that there are no hidden charges. Crystal Bathrooms has more than 30 years in experience in the industry. Our team know how to manage your project from idea conception through to building completion. f you want to learn more about our bathroom renovation services or to get an obligation free quote click the button below! This bathroom is often designed to be relaxing. The master bathroom typically joins the master bedroom. Many bathroom showrooms display designs for this bathroom because it typically uses basic principles to create fluidity in the space. 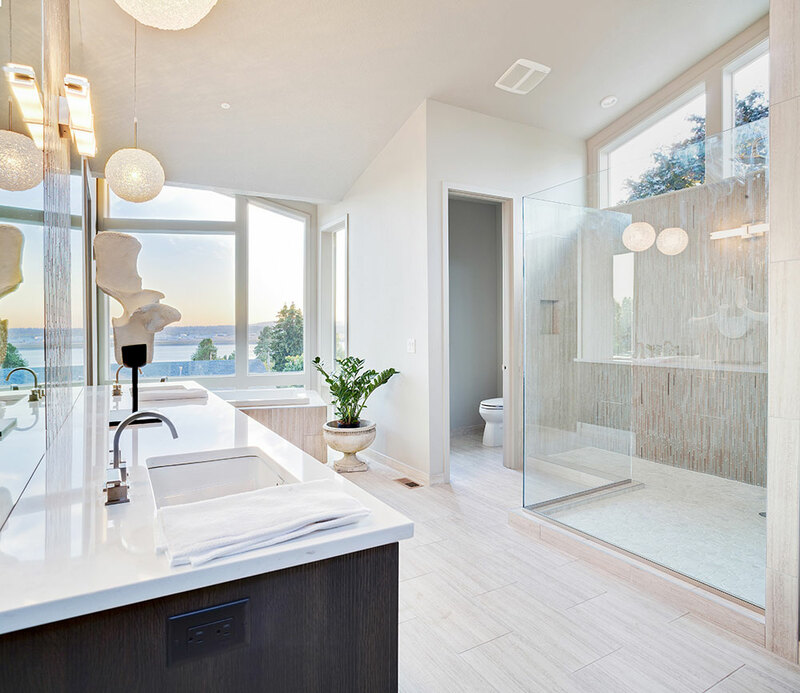 In some cases, you can have renovations for this bathroom that incorporate natural elements like beach glass tiles. Bathroom renovations for master bedrooms usually centre on making it contemporary. The design uses glass tiles, engineered stone counters, and stained wood. The bathroom here needs to resemble the master bedroom, but with a contemporary spa-like feel. A full bathroom usually features a shower, a full bath or spa and some type of storage. In some cases, home renovations revolve around introducing a vanity into the bathroom or other features that increase storage. The efficient layout for a full bathroom usually combines the tub and the shower. 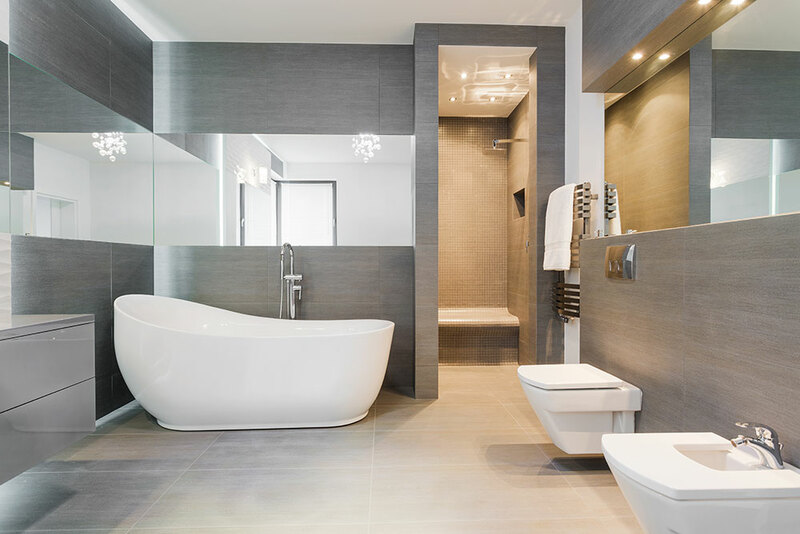 You can get bathroom renovations in Sydney to give full bathroom features for saving space. The shower is typically enclosed in a glass panel with no frame so that the space feels like it is larger than is. In some cases, mirrored cabinets are introduced to add pizzazz to the bathrooms. This bathroom is all about the bare essentials. It covers the shower, a sink, and a toilet. Many bathroom renovations for this bathroom style have to do with customizing the sconces. In most cases, the crown moulding is oversized for this bathroom. They feature glass doors for the shower to make space feel open. You can also have small bathroom renovations Sydney wide for this bathroom to introduce marble tiles. When they are installed from the floor to the ceiling, they add a touch of luxury to an otherwise plain bathroom. A frameless shower makes space also feel larger. The more daring homeowners go for bathroom renovations that add custom tiled backsplashes and vanities. Powder rooms are typically small but they make a world of difference. The purpose of the powder room is usually to provide a place for women to touch up in public spaces. 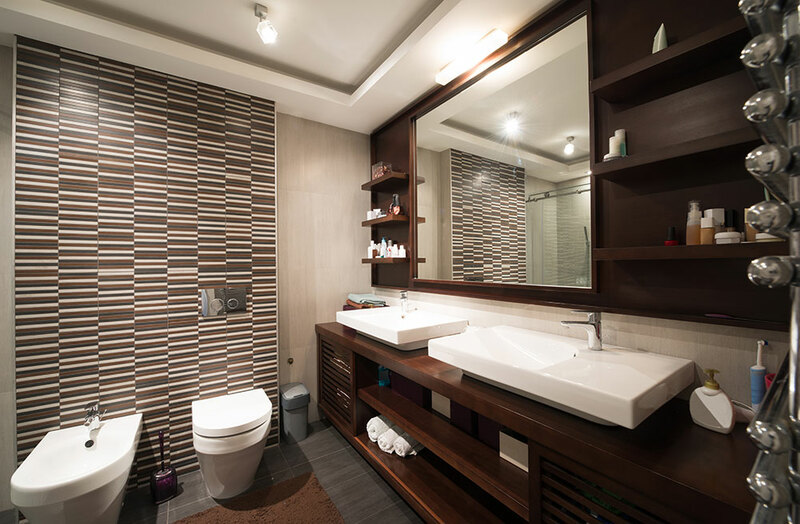 Many people who call for bathroom renovations with a powder room in mind usually require that wallpapers be added to give dimension to the room. You can also have the space made to have a Mediterranean feel. Vibrant colours with contrasting textures work best in these cases. I found Crystal Bathrooms to be very professional in the total renovation of my bathroom. Well organised with attention to detail and easy to deal with. Completed on time and very happy with the finished result. Just writing to provide feedback on James and the team currently undertaking the work at my dad’s property in Berala. Service and quality of work to date has exceeded expectations! The customer service, the craftsmanship and tidiness that they complete all works is commendable. You must be very proud of the way they represent your organisation. We are very excited to see the final outcome of their good work. Very professional approach from initial planning to end. Nothing was a problem to adjust. The finished bathroom was a lovely job. Best of all there were no surprises as the quoted price was the final price. Thanks for a great job to James the project manager and the team. Thank you John, Tony and James for your efforts in getting the repairs completed over the last couple of weeks. We appreciate that you/Crystal Bathrooms have been able to complete the rectification work at this busy time. Just to let you know how happy I am with my bathroom and toilet renovation. The job was done well on time with no trouble at all. Tradesmen were all friendly and helpful and the most important part was the after sale service conducted with professionalism especially from Stefan Kaczmarczyk. He always has time to listen to you and always replies on time. So for sure, I have and will recommend Crystal Bathrooms without any hesitation at all. We deliver high quality bathroom renovation services at affordable prices. Get in touch with us today for a free no obligation quote. Fill in the form here. Keep up to date on all the latest Crystal Bathrooms news, bathroom designs and bathroom renovation tips and tricks!